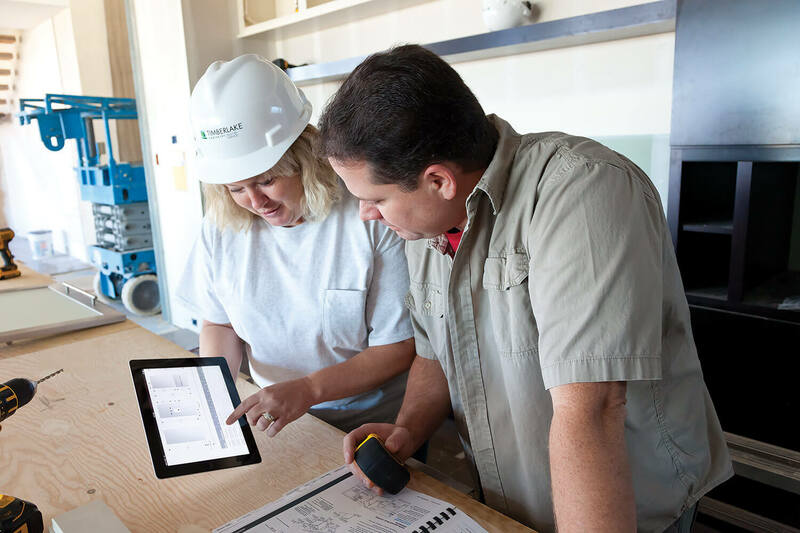 Stay up to date with the latest company and product news from Timberlake Cabinetry. Timberlake Cabinetry, a leading supplier to the new construction market, is unveiling a new design-centered approach to its signature publication, Portfolio magazine, at the International Builders’ Show. The first of the refocused issues features The New American Home as it has in the past. However, the new concept centers on specific tips, trends and details of the cabinetry within the showcase home, allowing homebuilders and designers to incorporate fresh thinking into their own projects. It will become a guidebook for creating custom looks with standard Timberlake® cabinetry. 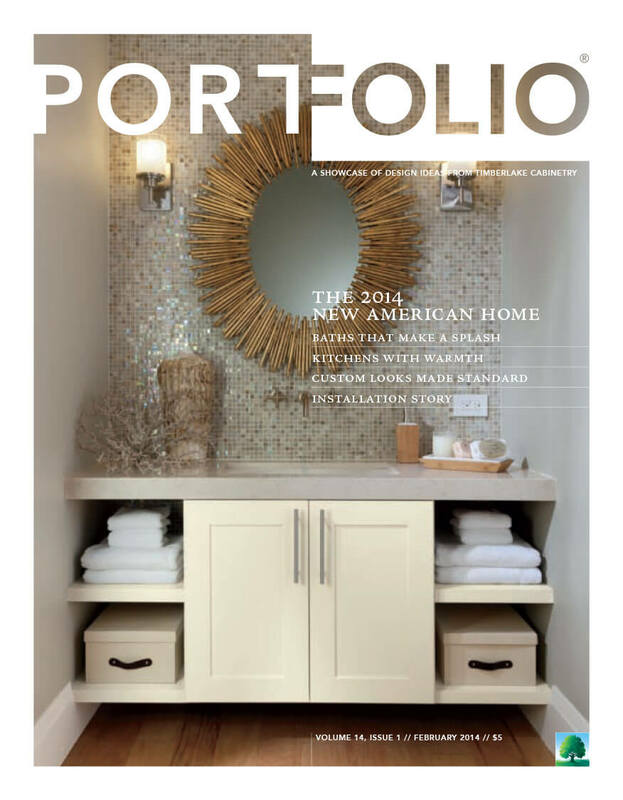 The new Portfolio magazine will be released at The New American Home 2014. Timberlake is the featured cabinetry provider for the annual showcase house of the National Association of Home Builders (NAHB), presented in conjunction with the International Builders’ Show in Las Vegas, NV, February 4-6, 2014. Following the show, the magazine will be available at Timberlake’s website, https://timberlake.com. In response to increasing customer preference for lighter shades in kitchen and bath design, Timberlake Cabinetry, a leading supplier to the new construction market, has extended its premium painted Linen finish into new collections, representing a variety of affordable painted options. Linen is the first painted finish made available in the Timberlake® Portfolio® series—specifically on the Sonoma® and Tahoe® collections. It’s a natural for Sonoma and its sleek, contemporary interpretation of Shaker styling, while Tahoe offers the premium finish on its recessed center panel door with a triple-carved inside edge for a traditional aesthetic. 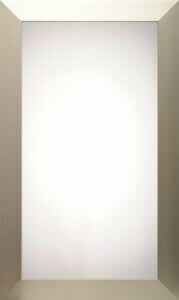 Tucson® is the most recent Portfolio Select® collection to include the painted Linen finish. 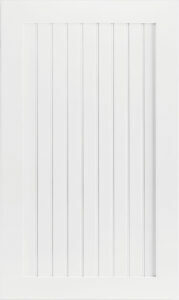 It brings a clean white appearance to the Tucson beadboard center panel, creating a wainscoting look and cottage feel. This brings the total number of Portfolio Select collections with this popular painted finish to five, including Sierra Vista®, New Haven®, Rushmore® and Wyoming®. The Sonoma painted Linen finish is showcased in the carriage suite and laundry at The New American Home 2014, the annual showcase house of the National Association of Home Builders (NAHB), presented in conjunction with the International Builders’ Show in Las Vegas, NV, February 4-6, 2014. Timberlake is the featured cabinetry provider for the show home. The New American Home 2013 great room features Timberlake Lausanne Cherry Java and Spice cabinetry. Timberlake Cabinetry, a leading supplier to the new construction market, is the featured cabinetry provider for The New American Home (TNAH), the annual showcase house of the National Association of Home Builders (NAHB) presented in conjunction with the International Builders’ Show in Las Vegas, NV, January 22-24, 2013. TNAH is considered the premier venue for new design trends, products and technology for builders, remodelers, architects and designers. 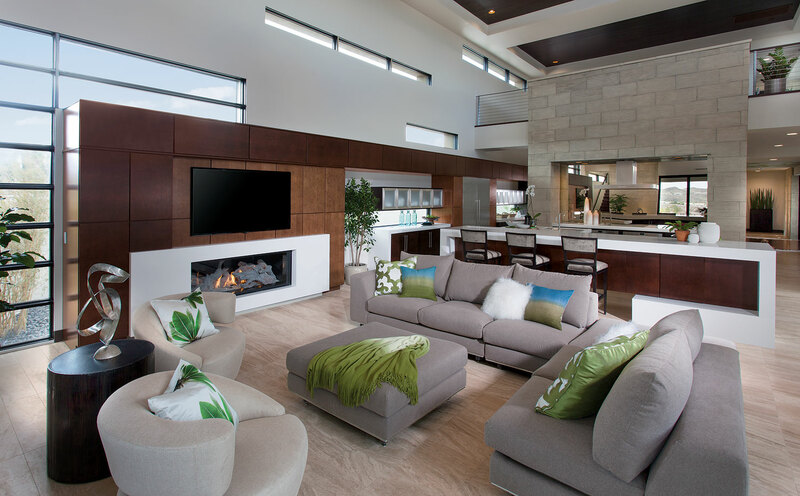 Timberlake® cabinetry is incorporated throughout the 6,721-square-foot desert contemporary home designed and built by Blue Heron. 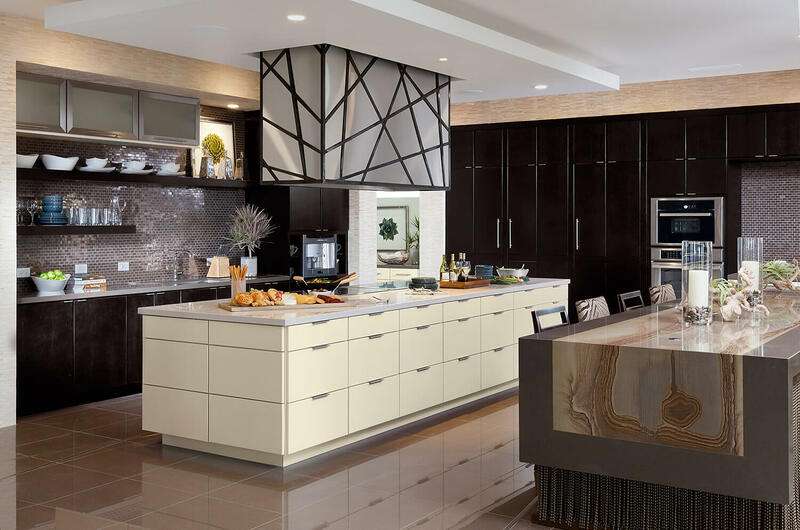 Fifteen rooms feature the classic, clean lines of the Timberlake Lausanne® slab door in deep Cherry Spice, Java, and Maple Espresso and each is used in innovative ways. Several rooms also include cabinetry with the recently launched CushionClose® Hinge Option, resulting in a soft, gentle closure every time. The great room and kitchen are unified into a single living space by a striking 47.5’ run of Cherry Java and Cherry Spice cabinetry, which also shapes the fireplace surround and media center while providing ample storage. In the kitchen, aluminum-and-glass doors are a gleaming example of the current two-tone design trend. The home also reinvents the wine room with multi-dimensional cabinetry used as a focal point. In the library, Timberlake wall cabinetry becomes floor-to-ceiling horizontal shelving. Floating base cabinetry creates a light, sophisticated appeal in all of the home’s baths. Timberlake will be hosting a customer/media event and guided tour celebrating the completion of the home on January 22, 2013. Customers and members of the media will have the chance to tour the home and meet with Timberlake executives and staff. Sponsored by the Leading Suppliers Council of the NAHB and Builder Magazine, this marks the 30th year The New American Home has been featured alongside the International Builders’ Show. Visit The New American Home 2013 Photos & Project Details page for more photography, details, and links on this home. Cabinet doors that slam, clunk or bump closed are a thing of the past. Timberlake Cabinetry, a leading supplier to the new construction market, introduces a new CushionClose® Hinge construction option for a soft, gentle closure every time. CushionClose technology is integrated into the six-way adjustable hinge’s design and is factory installed for simplicity at the jobsite. 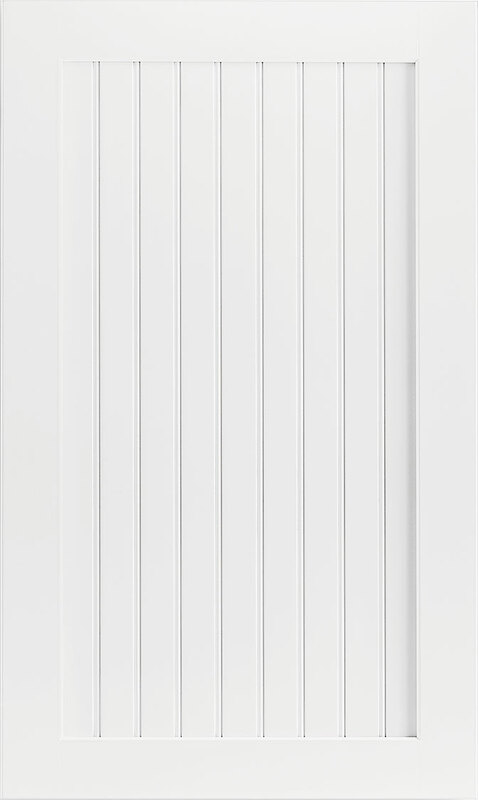 Each hinge opens to 105 degrees and features an on/off switch that allows for easy pressure adjustment for lighter doors. The robust design and sturdy construction of every CushionClose Hinge assure years of quiet, trouble-free use. 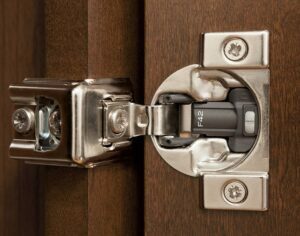 The new CushionClose Hinge Option is available on Timberlake® Portfolio® and Portfolio Select® lines of cabinetry. CushionClose technology is also available on drawer glides in these series. Each year, editors from Professional Builder and Professional Remodeler magazines choose their favorite new products, and this year Timberlake Cabinetry is pleased to announce that our aluminum-and-glass cabinet doors have been chosen to be among HousingZone’s 101 Best New Products for 2012. “It’s our goal to stay abreast of the latest home decor trends, and on top of bringing products that add customization options for our customers. The aluminum-and-glass doors have seen an increase in popularity since last year’s launch, and we are honored to be recognized by the editors of HousingZone this year for this beautiful addition to our product offering,” notes Timberlake Channel Marketing Manager, Chad Roberts. 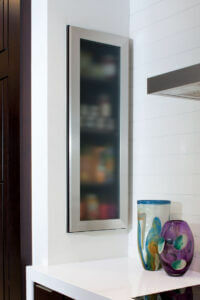 Visit HousingZone.com today to learn more about the other products selected as a part of the 101 Best New Products for 2012, and more about the Timberlake aluminum-and-glass cabinet doors. 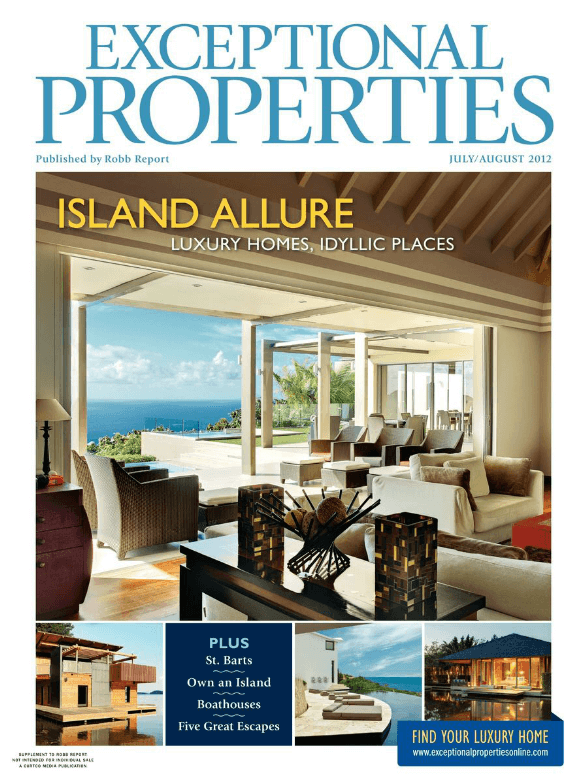 Exceptional Properties magazine’s Cabinetry Takes Center Stage opening spread. Trends may come and go, and what’s hot today in interior design may not be around tomorrow, however cabinets are here to stay, and are taking center stage in a big way. “The surge in contemporary design tendencies among homes with open floors plans, makes the kitchen an even more integral part of the family and great rooms and dining spaces, both formal and casual,” says Perry Campbell, vice president and general manager of Timberlake. Gone are the days that you and your neighbor have the exact same kitchen cabinets – today it’s all about customization and originality in home cabinetry. This month’s Robb Report’s Exceptional Properties magazine focuses on just that, highlighting the timeless quality, reliability and design Timberlake brings every day to new homes across the country. Their article Cabinetry Takes Center Stage features the value and customization that Timberlake can bring to a new home. Visit Exceptional Properties to read more about how cabinetry is taking center stage, and how Timberlake is on the leading edge of providing customization that makes a statement in every home.